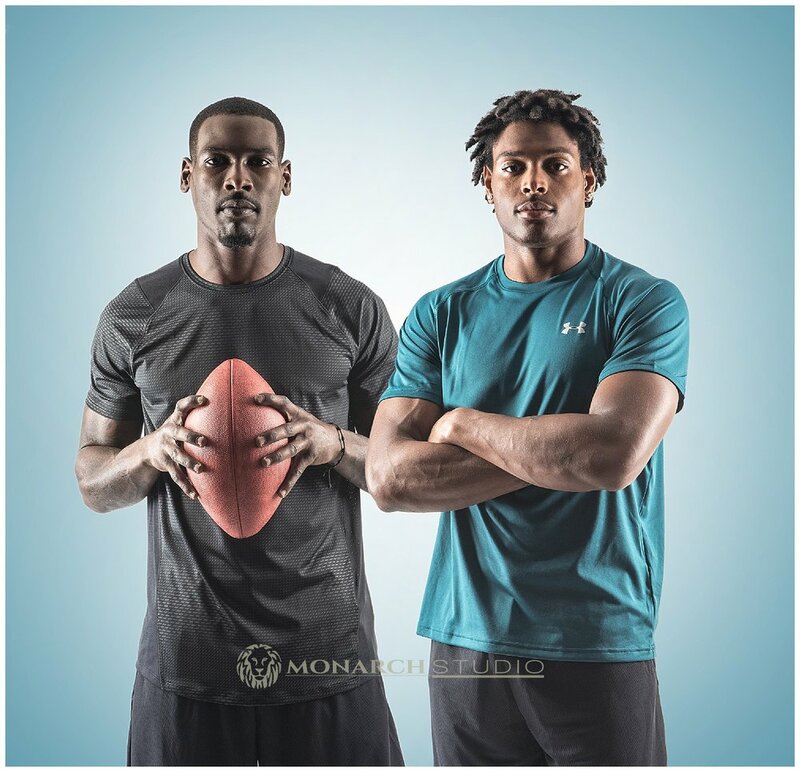 Recently we worked with Jalen Ramsey and Marqise Lee for a Vystar marketing campaign. NFL players are busy guys so we set up our equipment at a bank branch that would be as convenient as possible for the players. They were graceful and fun to work with, and I captured a variety of looks and poses of each. Above is one of my favorite images from the advertising photo shoot and below are a few samples of some of the marketing materials.